When our liar in chief first came to office he claimed that he was going to “fix” the healthcare system. Then, when he began to sell Obamacare he promised that all of our insurance premiums would be about $2,500 annually. But now we find that this liar missed it again. Premiums have soared to nearly $5,000 a year under his regime. Obama claimed that he was going to save us all and lower our premiums. He lied. That much is true. Since 2006, the average annual increase for family plans at work has been 4.9%, down from around 10% a year from 1999-2005. Slightly less higher premiums aren’t what President Obama promised Americans when he ran for office touting his medical overhaul. He specifically said his plan would cut premiums. Once again we see that Obama is a bald faced liar. Certainly, presidents can offer ideas, push programs, and then find out that the results proved their assumptions wrong. In those cases, the original statements aren’t really lies. They were just wrong. But here is the thing. 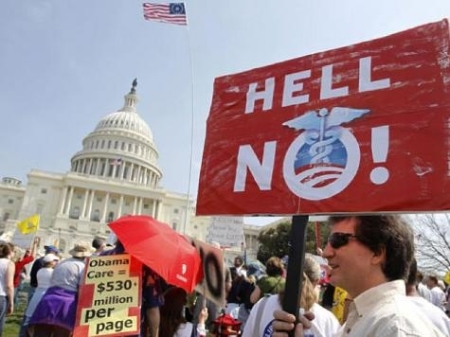 Obama wasn’t just wrong with his healthcare pronouncements. He knew he was lying since the very first time he said it.